Appita is committed to supporting the professional development of association members. This free member resource library is designed to provide members with easy access to free resources such as current industry report, association partner magazines and bulletins and technical notes on a range of relevant topics. Filled with practical papermaking advice, each issue of Tech Talk will touch on operations, troubleshooting, reliability and maintenance, and safety. This publication was an initiative of the Appita Suppliers Committee and was the first publication for Appita that was dedicated to personnel at the coal face of pulp and paper manufacturing operations. A glossary of commonly used terms. 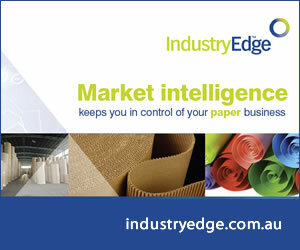 Seventeen22 provides a succinct overview and summary of Australian and New Zealand paper, paper product, pulp and fibre supply markets for 2016 –17 and the prior decade, as well as the outlook and IndustryEdge’s consumption forecasts through to 2022. Australia’s paper and paperboard manufacturing industry continued its role as a global sustainability leader in 2016. The industry is committed to improving its sustainability and to communicating its progress on the sustainability journey to its stakeholders. Members of the Australian Forest Products Association (AFPA) either improved their sustainability performance in 2016, or maintained it, where performance is already at global best practice levels. This report, compiled and verified independently, addresses five key measures of sustainability, covering resource utilization, recycling, energy efficiency, employment in regional Australia and import replacement. It does so using verifiable and consistent data and with methodologies that meet Australian and international standards.